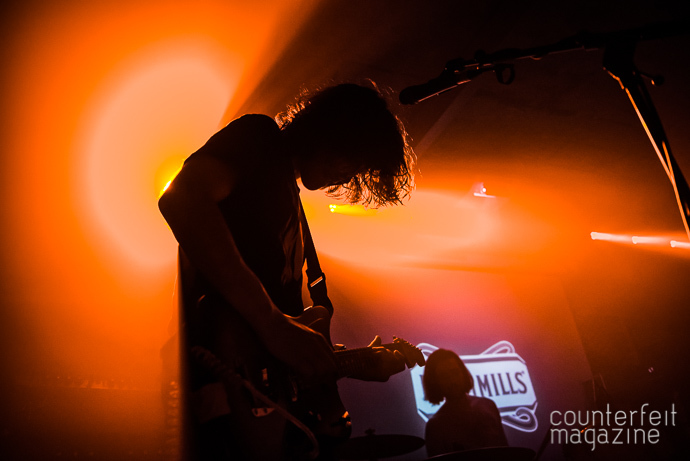 Bushmills Whiskey have been putting on a series of gigs across the United Kingdom over the last month, each one features a headline act supported by promising local acts at independent venues. 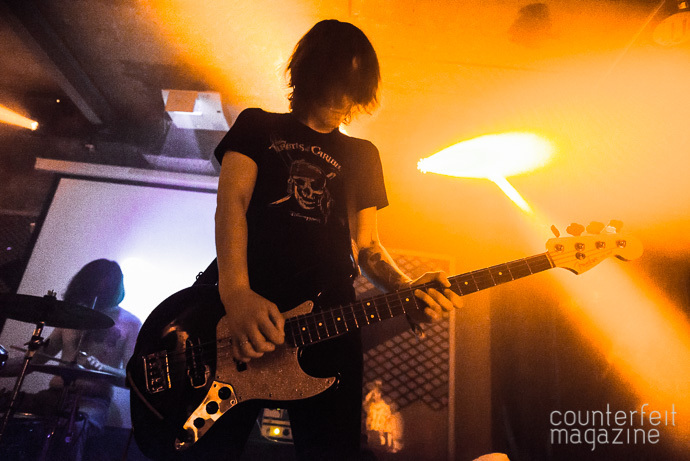 Tonight sees The Wytches with support from Leeds based Treeboy & Arc and Team Picture, at Headrow House. 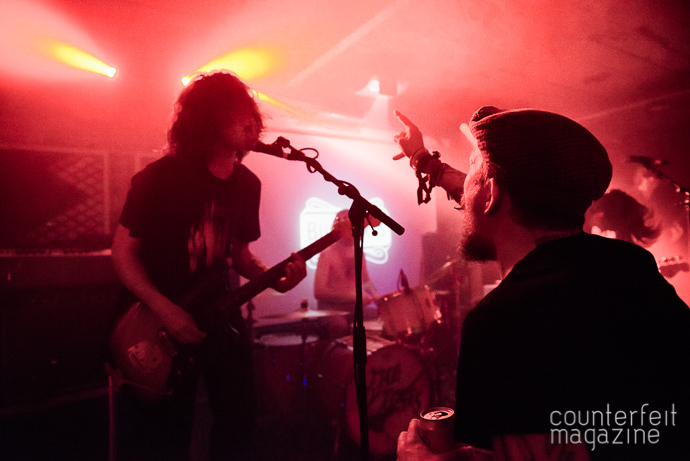 After the free shots of whiskey had been passed around the night began with a noisy set from Treeboy & Arc. 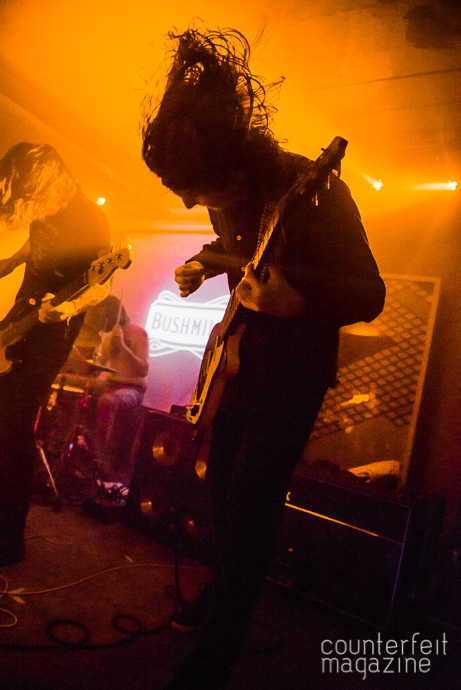 Gritty and hard hitting, the Leeds College of Music alumni created a hell of a racket. Each track was dark and aggressive with a real air of menace about it. They showed a real knack for developing a song from its atmospheric, moody, beginning into a raucous explosion of seething, hate-filled, anger. Treeboy & Arc impressed with their energy and craft but second support act Team Picture impressed even more. The local lads, on this occasion it was just the lads as their female co-lead singer was temporarily missing from the line-up, played their set lit by the projection of flickering images, as has now become their trademark. They produced a variety of expansive soundscapes which developed and built, through twists and turns, towards climactic conclusions. With only fifty percent of their main singing artillery in attendance they were obviously going the be lacking the delicate tones which normally compliments their work so well. However, this didn’t turn out to be the hindrance that you might expect it to be. The harder edges of their material now became extra highlighted and it made you appreciate the quality of the music which underlays the fine vocal work. 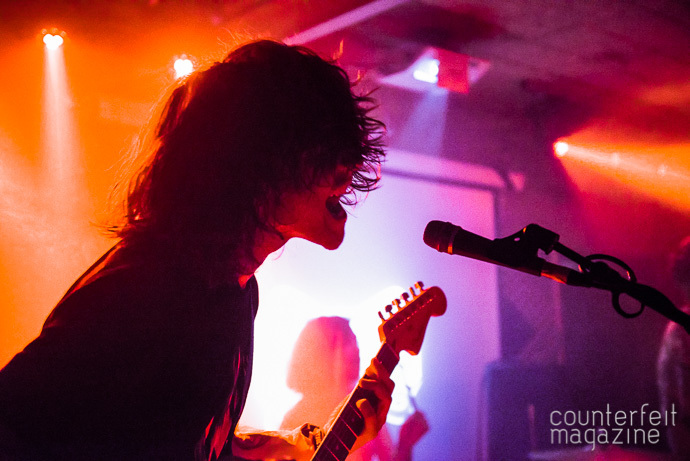 The venue then fell into complete darkness before the stage was lit red and The Wytches appeared. Their flawless set comprised of tracks from both their debut album “Annabel Dream Reader” and their latest release “All Your Happy Life”. 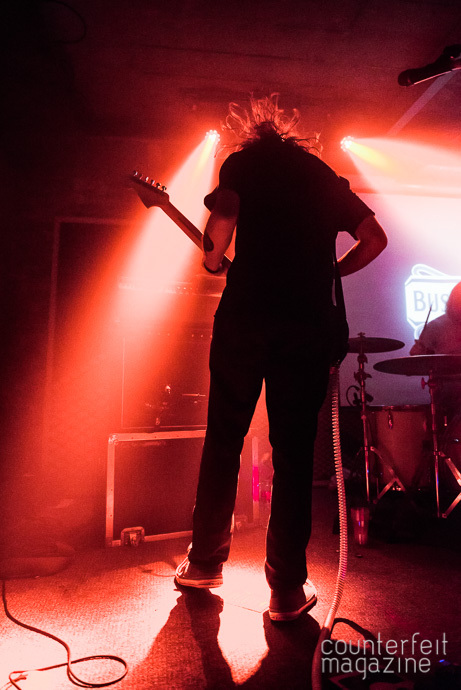 The Wytches were loud and relentless, the bass seemed to shake the room, and it felt like each note hit you twice as it bounced back off the wall behind. Despite the incredibly warm weather that day, and the high humidity in the room, the mosh-pit was ceaseless throughout the entire set. 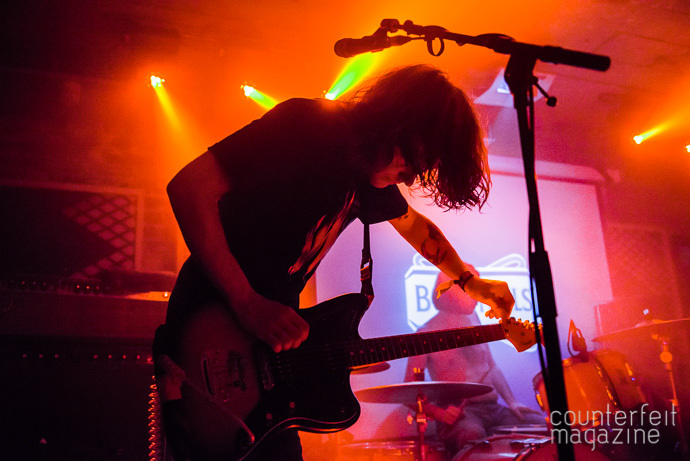 The physical energy of the moshers wasn’t mirrored by the band, The Wytches are the kind of band who perform with their heads down and let the music speak for its self. The expressions of sheer joy coming from the front of the crowd showed that they don’t need to rely on gimmicks or visible performance techniques to show the crowd a great time. They produced a procession of tracks which simultaneously loomed over you and provided boosts of invigorating energy. 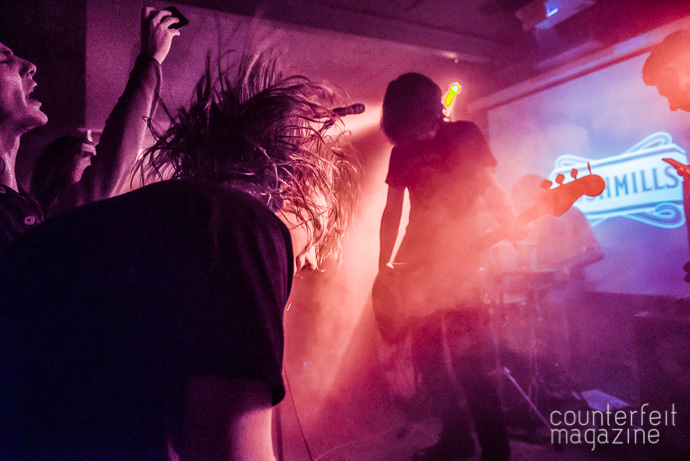 Their hour long set never faltered in its intensity, one of the many highlights being “Gravedweller”.